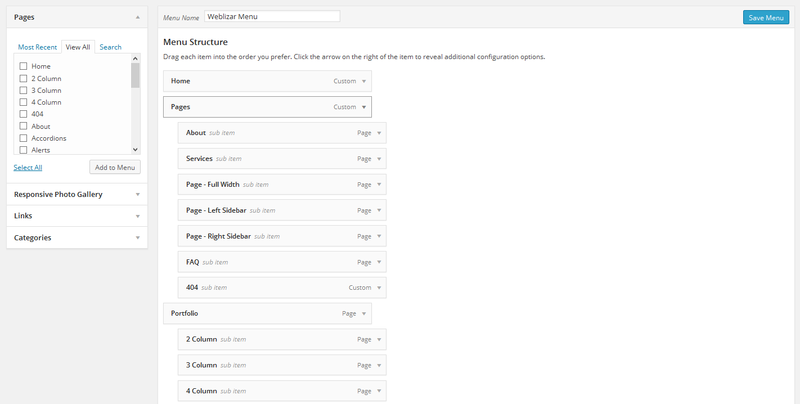 Using Add New Slider link in Featured Slider Menu you can add slides in Featured Slider. 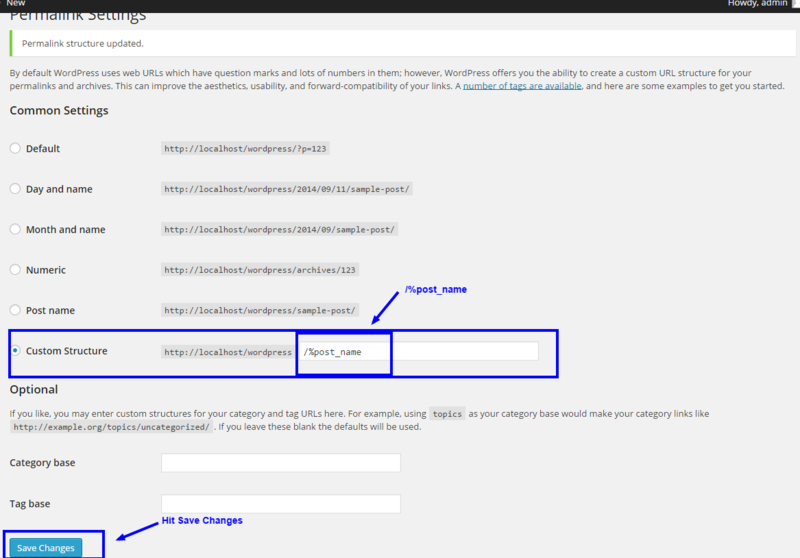 Service Section is third section on home page come after featured slider section. 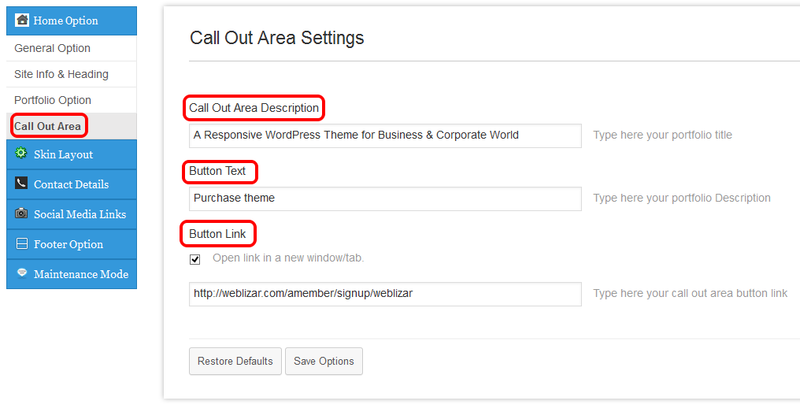 Using Add New Service link in Featured Service Menu you can add services into Featured Service section. 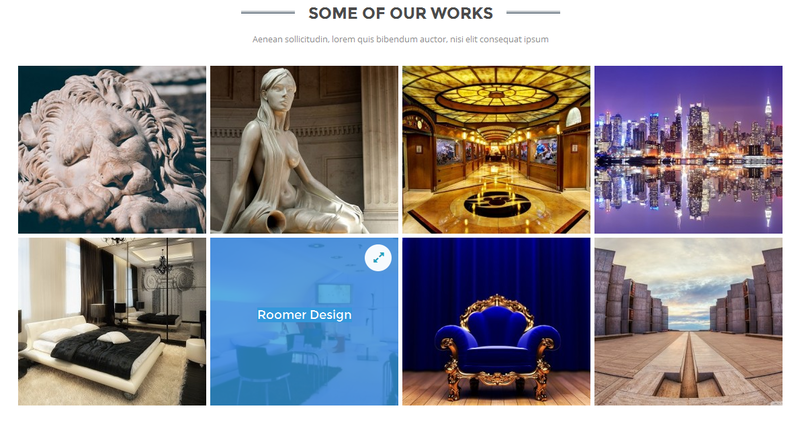 Portfolio Section is forth section on home page come after featured service section. 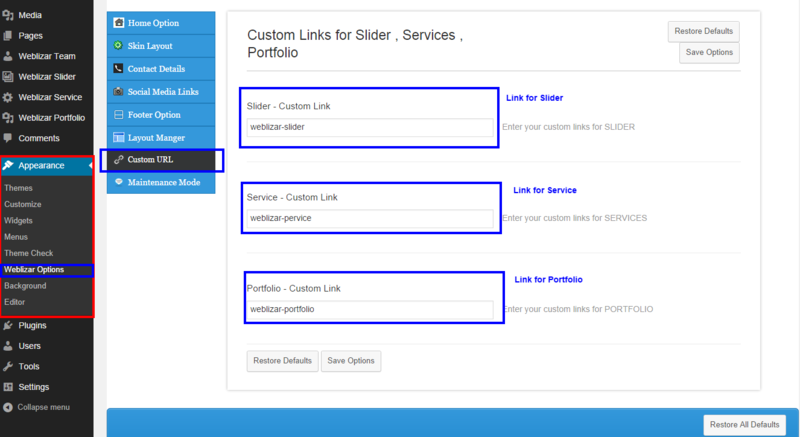 Using Add New Item link in Portfolio Menu you can add new portfolio into Portfolio section. 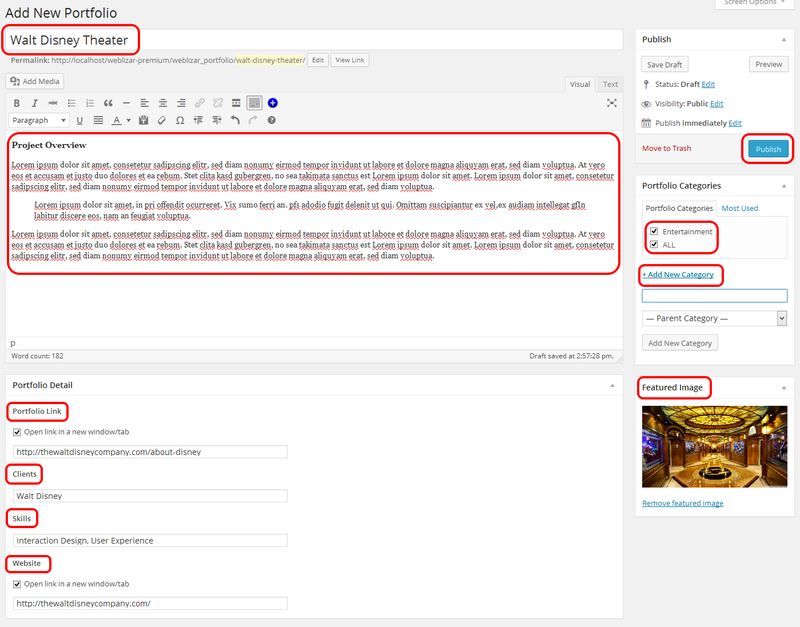 Blog Section is fifth section on home page come after portfolio section. 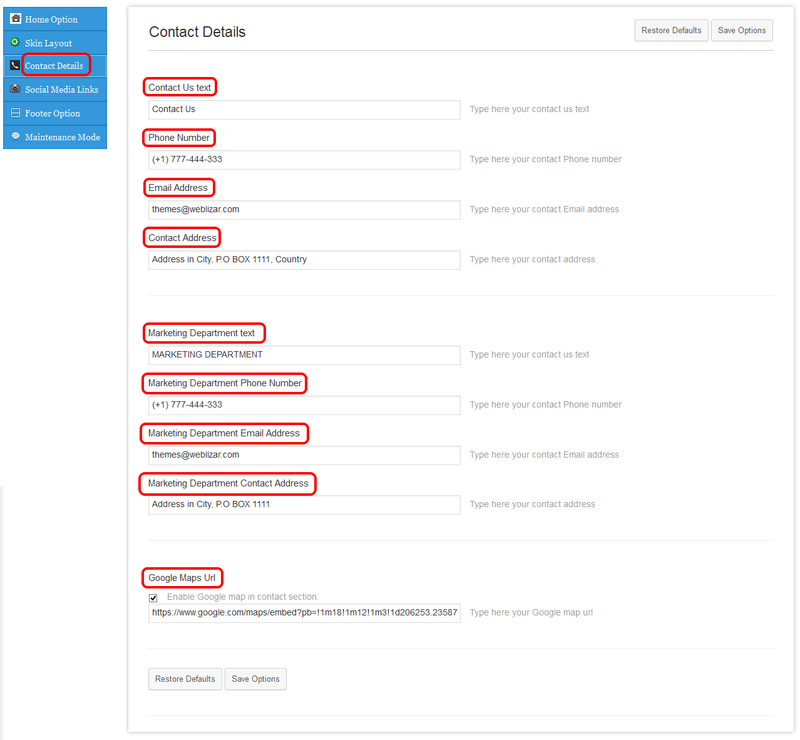 Call Out Section is sixth section on home page come after blog section. 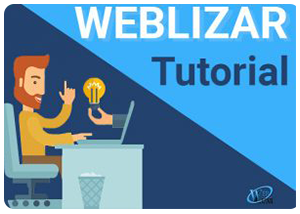 Go to weblizar-options > Custom URL. 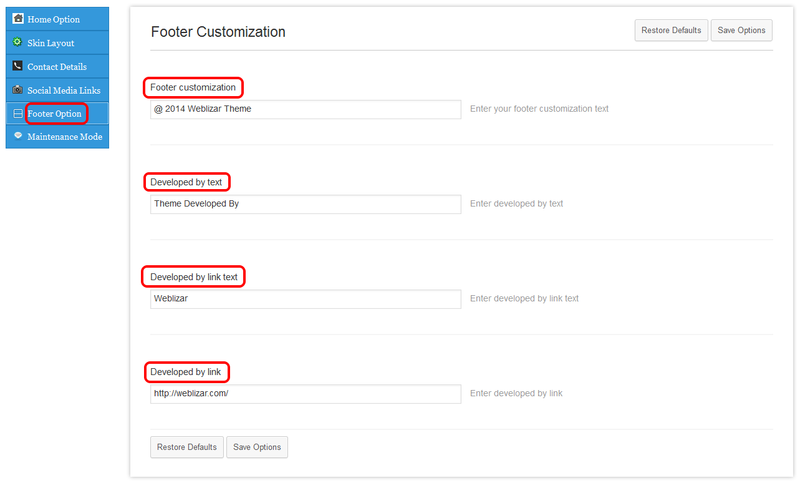 Add your Custom Links in the provided settings. 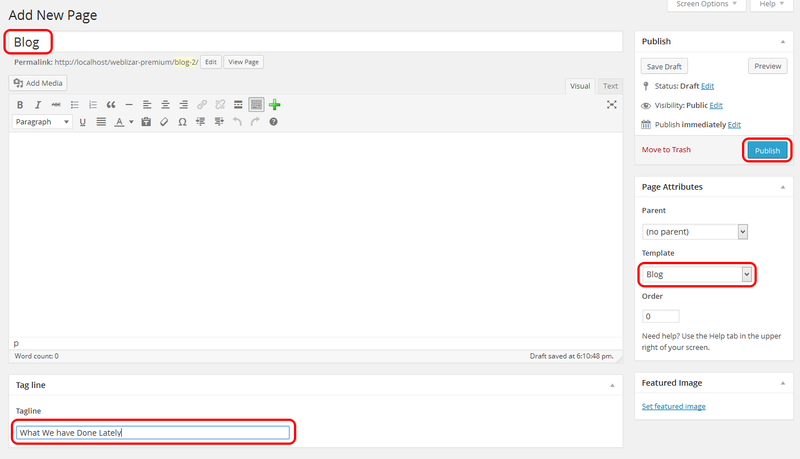 Set Custom Structure WORDPRESS URL + “/%post_name” , And the last SAVE THESE CHANGES. 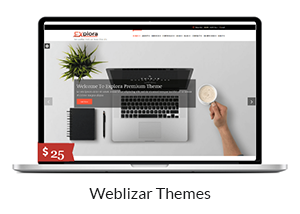 Weblizar Premium theme comes with 8 template pages. 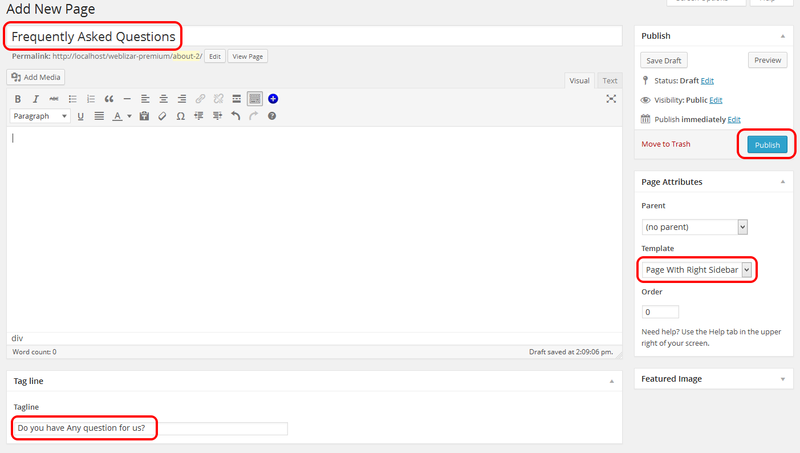 We are explaining below one by one each, how to use or activate diffrent templates? 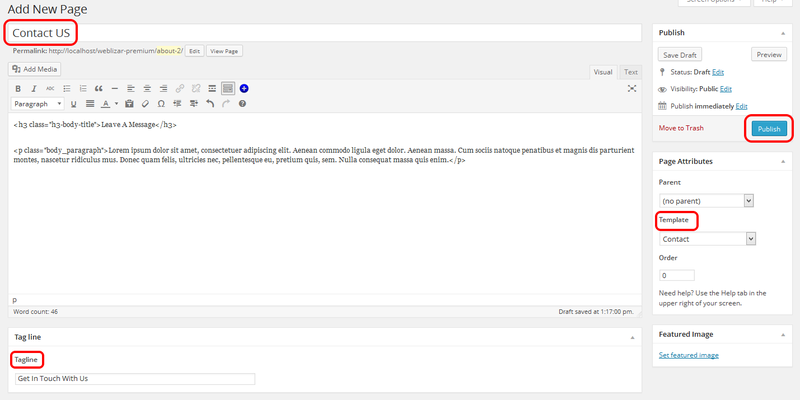 About US Page Template can be use as display your Business, Ofiice, Team, Working information. This template contain two section, first one for About Us information. And second one is for Team/Staff information. 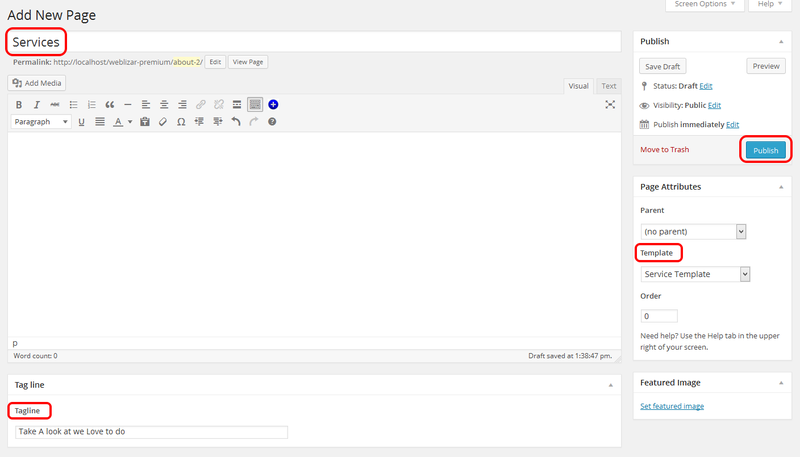 Contact Page Template can be use as display your Business, Ofiice contact and loaction information. 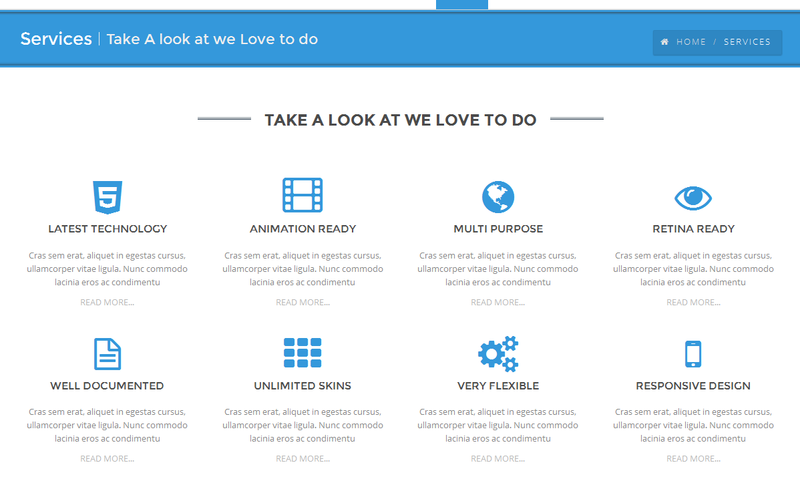 Service Page Template can be use as display your services provided by you. 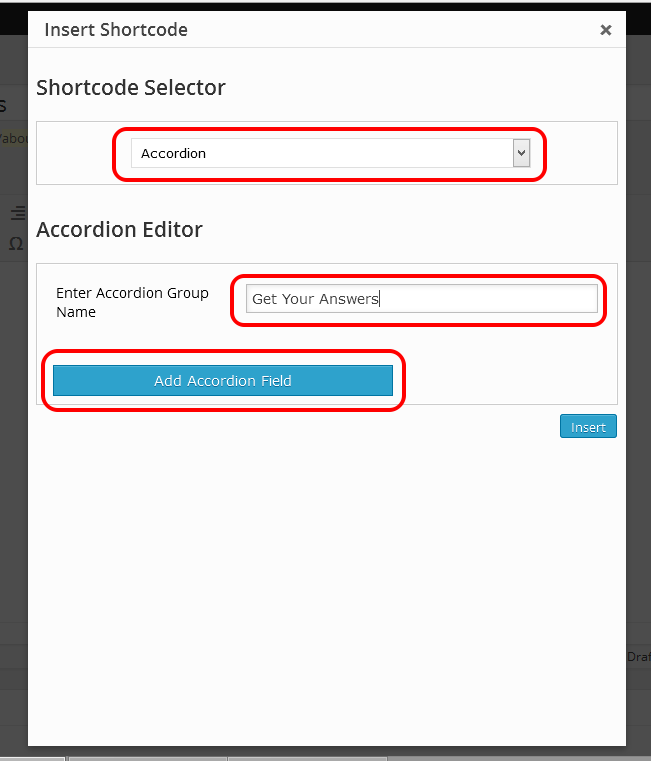 A pop-up window will appear, select Accordion from Shortcode Selector list box. Then type a Accordion Group Name like: “Get Your Answers”. 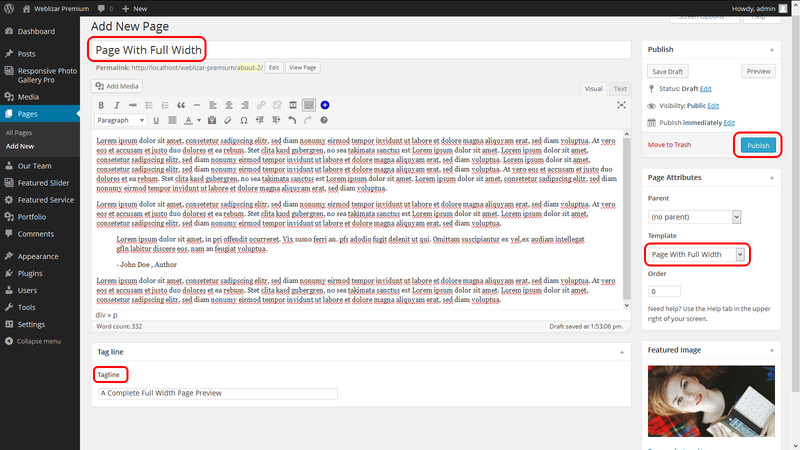 And then click on blue button Add Accordion Field. 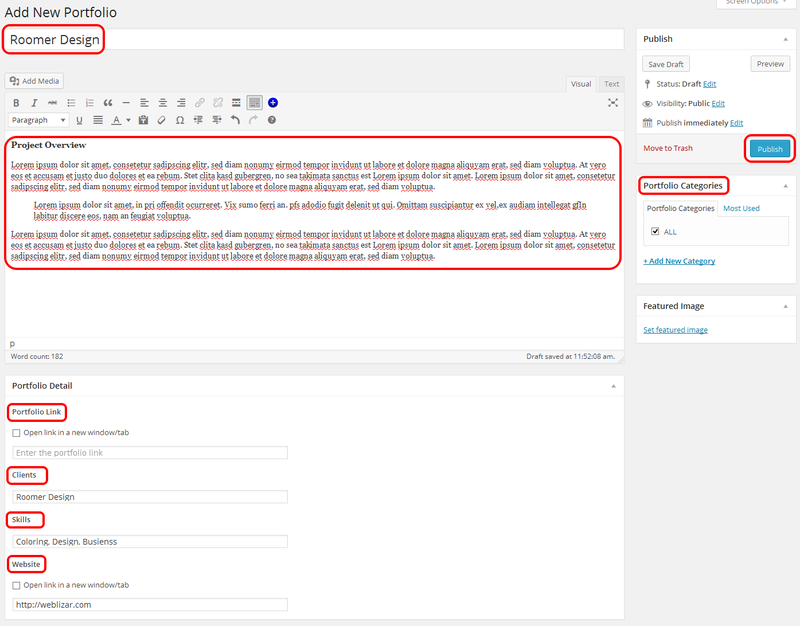 Then two field will be aapear in Accordion Editor, type the first question in Accordion Title 1 field and type the first answer in Accordion Text 1 field. 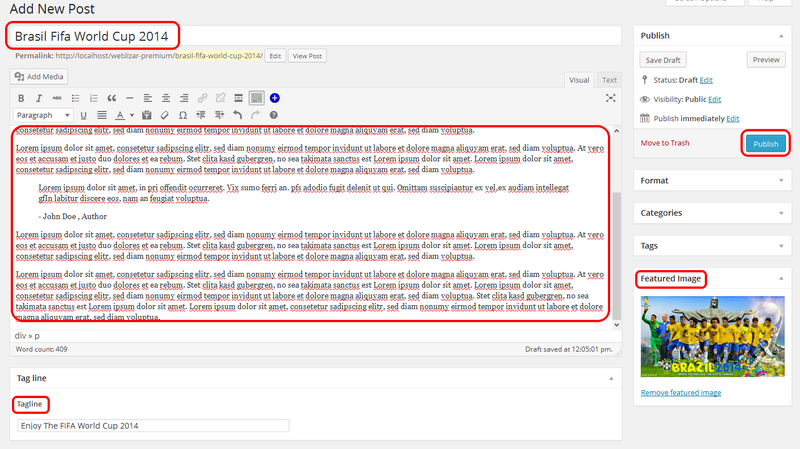 Click on Add More Accordion Field for next question. 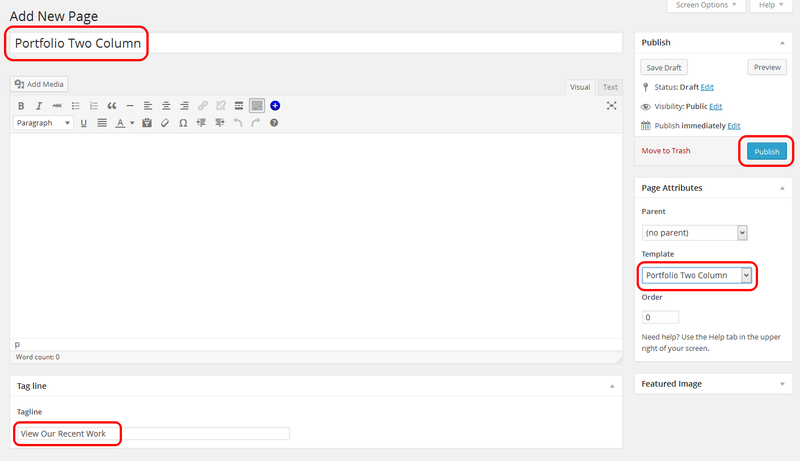 And click at last on Insert button in bottom right corner to insert created Faq questions by accordion shortcode. 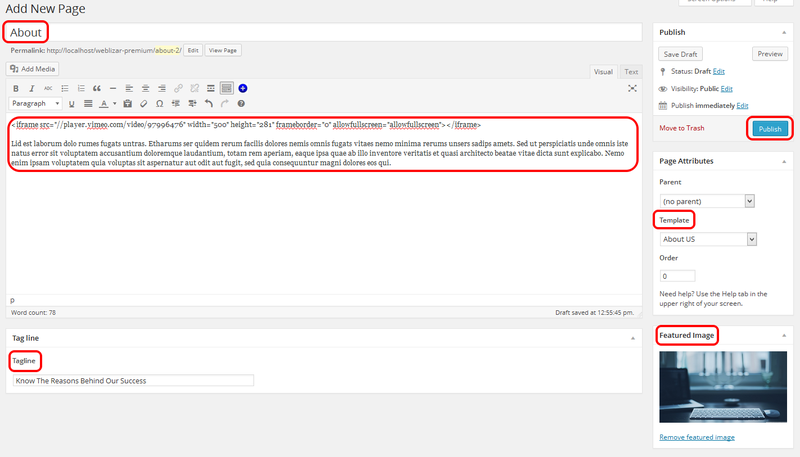 404 Page template will be display when a visitor on a site requset to see unavailabe content. The 404 or Not Found error message is a HTTP standard response code indicating that the client was able to communicate with a given server, but the server could not find what was requested. Portfolio are used to diplay your business recent works & activities with your clients and customers. 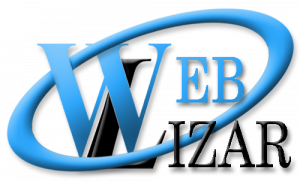 Werlizar premium theme provide 3 types of Protfolio Column Layouts to setup your business portfolio on your site.